Slowly fighting my way through a feudal Japanese castle, I’ve challenged and beaten many enemies. Some tested my ability to be aggressive, others tested my ability to deflect and dodge. A brief reprieve is granted, before I ascend to the very rooftop of the building, where my most difficult challenge yet awaits me. A snowy Mt. Fuji looms in the distance as I’m stared down by one of the major bosses of Sekiro: Shadows Die Twice. Our swords clash in a battle of attrition. After numerous attempts of slashing, dodging, parrying, deflecting, and of course dying, victory is finally mine. Or so I thought. One last phase, one last challenge awaits me before I am granted the absolutely cathartic yet only temporary rush of victory. This is the loop of Sekiro: Shadows Die Twice, and I can’t get enough of it. 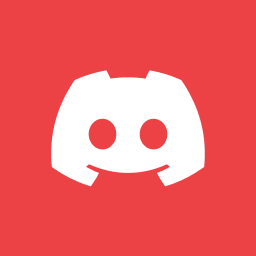 Sekiro is the latest entry from developer FromSoftware, of Dark Souls and Bloodborne (Soulsborne) infamy. Despite most of FromSoftware‘s latest titles following the same overall progression and combat structure, Sekiro is a welcome departure from what has come before it. Sekiro changes the traditional Soulsborne formula in many fundamental yet refreshing ways, yet still manages a sense of familiarity. Perhaps the most glaring change to the formula comes from the combat system. Sekiro’s combat is much more intense and high stakes than other modern FromSoftware titles. While the combat for Soulsborne could effectively be boiled down to “dodge and strike”, Sekiro demands much more from the player. Dodging and striking won’t work for every enemy, and Sekiro requires you to think critically about how beat your opponents. Some opponents can only be beaten by carefully deflecting their attacks, while others require you to dodge or leap to barely get in scrappy hits and eventually win. Every fight feels like an intense life or death battle between two swordsmen. More to the combat, the player’s character is very fragile, and the enemy’s attacks can be ruthless, giving the player a very shallow margin for error. The effect is that almost every encounter feels challenging and risky, and the result is that victory feels much more rewarding than previous FromSoftware games. Because of this high risk, high reward combat system, every victory and every defeat feels like you the player are directly responsible, which is somewhat different from Soulsborne. There are many an instance in past titles where enemies come off as “cheap” or “cheesy”, but Sekiro’s enemies always feel fair. Due of this, if you win, it’s due to your skill being sufficient, and if you lose, it’s due to you not being good enough. Sekiro’s progression system differs from Soulsborne in new and important ways. Instead of collecting souls of enemies to level up and increase individual stats, Sekiro requires you to beat four mini bosses in order to collect four “Prayer Beads”, and then simply press a button to increase health and posture. In a similar vein, major bosses drop “Memories” which can also be redeemed at a push of a button to increase attack power. It’s intentionally vague about how much it actually increases, yet the effects of the increases are felt immediately and directly in combat. Sekiro has more progression systems than the Soulsborne titles. The aforementioned Beads and Memories are the only things in game that directly increase the power level of the character. The rest of the systems all center around giving the player more utility to employ during combat. Killing enemies grants you experience to increase your “Skill Level”. These levels can then be exchanged for other combat abilities. These abilities only give you more ways to fight, instead of simply letting you overpower your opponents. There are various skill trees, and each seem to focus around a certain play style. For example, the “Shinobi” skill tree gives you more cunning abilities, for example better ways to counter certain opponents. On the other side, the “Ashina” skill tree gives you more attack based utilities, like a special attack that is very slow, but is able to break the posture of even the toughest opponents. By providing this customizability, not only does Sekiro give the player different ways to approach combat, it can make fights tip in the player’s favor by offering utility that’s effective against certain styles of enemies. It more comes down to the player knowing how to best use these abilities to gain an advantage. The challenging combat in Sekiro can be eased, or at least tipped in the player’s favor by knowing when and how to use the skills unlocked. While the aforementioned skill system offers yet another layer of customizability and utility, most of the tools come from the “Shinobi Prosthetic”, the iconic mechanical left arm given to the player. Throughout the world, the player can find various prosthetics that can be fitted to the mechanical arm, all for the purpose of giving the player more tools to gain an advantage. One such example is the “Shinobi Firecracker”, an ability that launches a flurry of firecrackers from the mechanical arm. The firecrackers make a deafeningly loud noise, disorienting your opponents. The disorientation usually breaks whatever combo or move the enemy was winding up for, allowing the player to get one or two hits in. Furthermore, the firecrackers are also exceedingly useful against beasts, where the disorienting effect is amplified. This utility system is perfectly coupled with the “Eavesdrop” system. Throughout the game, the player will come across two or more enemies engaged in conversation. A prompt will appear to “Eavesdrop”, which will allow the player to hear the conversation. These little bits of dialogue provide hints of information, which may be useful. For example, it’s through this system that the player knows firecrackers are effective against beasts, yet even then it’s hinted at. Sekiro feeds the player information and hints, and being able to parse and apply this information is another vital key to success. Level design wise, Sekiro feels very similar to previous Soulsborne games, with a significant twist: verticality. One of the most fundamental functions of the “Shinobi Prosthetic” is the grappling hook, which allows the player to ascend to various places for a variety of reasons. Sometimes in the name of stealth, other times in the name of progression. Players are made aware of points they can grapple to via UI prompts. There’s really no slant of difficulty to these, outside of sometimes needing to jump in order to get in range of a grapple point. However, it’s here that the first pain point of Sekiro is reached. I found the grappling hook system to be spotty at best, not always functioning the way it should. I.E: not being able to grapple to a point that I know based on past prompts that it can be. There’s really no explanation outside of the system doesn’t work properly. This isn’t necessarily game breaking per se, but it can be frustrating when it occasionally happens. Speaking more about the movement in Sekiro, another departure from Soulsborne is the mobility granted while jumping. Players have plenty of opportunities to jump up and over or on to walls, occasionally needing an edge hang as well to reach the desired location. However, once again, this system functions weirdly for me as well. As edge hanging is a separate action and control, even holding down the button for the action doesn’t work, requiring players to press the button at the right time in order to edge hang or ledge grab. This seems like a completely unnecessary as a step, and should have been automated, at the most, or at the very least a lot more forgiving than it exists in game. Furthermore, Sekiro occasionally comes off as unclear as to what walls or ledges can be climbed up or grabbed. Some particularly tall walls require not only the little boost wall climbing gets you, but also a ledge grab. It’s somewhat difficult to determine whether or not you can’t climb that wall because the developers didn’t intend that wall to be climbed, or you’re mistiming the edge grab. The added mobility and verticality aspects of Sekiro, although great concepts, don’t function as well as they should. Which, although this doesn’t excuse it, makes a bit of sense considering this is FromSoftware’s first attempt at having such systems in place. Graphically, Sekiro doesn’t really exhibit anything to write home about. There’s no new graphics technology here that’s absolutely groundbreaking. In fact, it’s reminiscent of 2016’s Dark Souls 3, so much so that I recognized several reused assets that seemed directly taken from Dark Souls 3. However, this didn’t seem like a problem, as not only does Dark Souls 3 hold up very well in 2019, Sekiro succeeds stylistically. FromSoftware departed from the medieval European style of Dark Souls, or Victorian style Bloodborne, and arrived at a feudal Japanese style for Sekiro. The result is a beautifully drawn and populated landscape that feels reminiscent of their past games, but at the same time different enough to distuinguish itself as a brand new setting. The color pallet is perhaps the most important aspect. 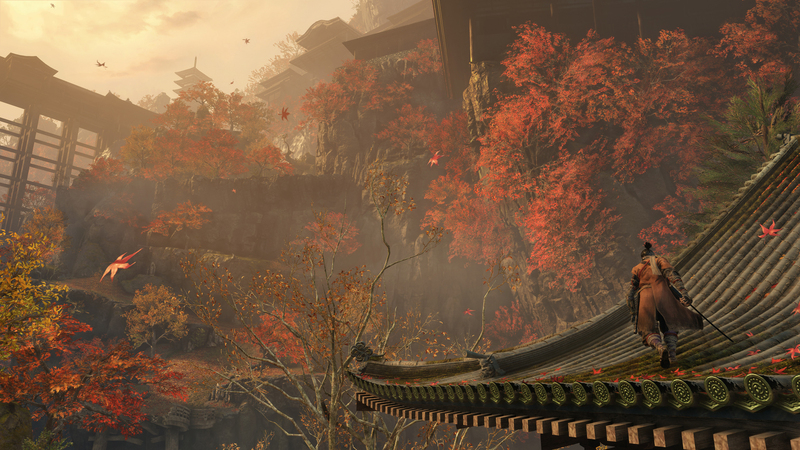 The world of Sekiro is filled with color, as opposed to the grey that dominated Soulsborne. The muted castle walls and buildings are contrasted with the bright and vibrantly colored landscape, lighting, and characters. FromSoftware took their desired style and ran with it, and it’s very apparent in-game. The art style, coupled with the of course exceedingly Japanese soundtrack, provides an intense world for the player to experience. The fights wouldn’t quite feel the same if they didn’t have the rapid and furious soundtrack to back them up. Despite not being graphically superior technically, it is through style and design that Sekiro shines, and achieves a high level of fidelity. Sekiro differs from Soulsborne in the narrative in several important ways. For starters, you play as a set character, with set goals and motivations, as well as already set and established inter-character relationships. 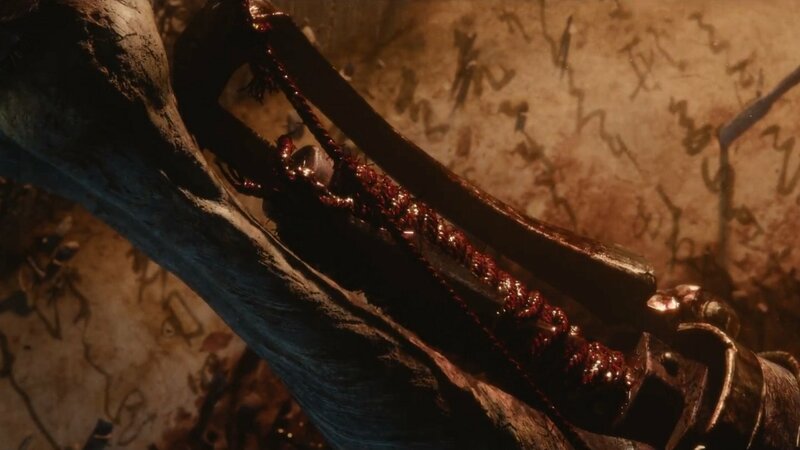 Furthermore, the overall story of Sekiro is told in a much more direct manner than in Soulsborne, yet Sekiro still leaves a lot of the deeper world history in details to the item descriptions, something reminiscent of past titles. The story is about as passable as the “stories” of Soulsborne, but again much like the other games, enjoyment of the story in Sekiro more comes from the deeper lore hinted at and discoverable in the surrounding world. If Dark Souls and Bloodborne are like brothers, than Sekiro is like the cousin to the family. Experienced Soulsborne players will feel a sense of familiarity with Sekiro, but will have to acknowledge and respect the changes it brings to the formula in order to succeed and enjoy the experience. Even if you’ve been turned off of previous Soulsborne titles, Sekiro is different enough to warrant another try, as you have to approach and play Sekiro very differently than you would Soulsborne. Difficulty wise, I would have to judge Sekiro as being overall more difficult than Soulsborne. Sekiro has a different type of difficulty to it, once again distinguishing itself. Despite the resurrection mechanic, and despite the somewhat reduced death penalties, Sekiro is more difficult because of how it coerces you into learning how your enemies fight, and adopting the specific style needed to counter. Sekiro is less “dodge when you see the enemy do this”, and more “If enemy does ‘X’, you must do ‘Y'”. My final contentious point regarding Sekiro is the replayability factor. Unlike Dark Souls, there aren’t many different weapons or class builds to experiment with in Sekiro, nor is there multiplayer. Sekiro sheds all of that off, and only keeps a New Game Plus feature. Because of this, I don’t personally see myself sinking the hundreds of hours into Sekiro like I have Dark Souls 3. Past that, what you get with Sekiro is an intense gameplay experience, that you will only succeed in by thinking critically and actively trying to become better at. Sekiro is a more than worthy addition to FromSoftware’s catalog, and if you have even a fleeting interest in it, I cannot recommend Sekiro enough. If you like anime, be sure to check out my article on Sword Art Online and Futurism here. And be sure to check out other reviews on OpenCritic.